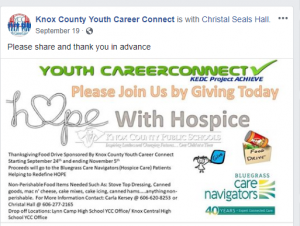 It all started with an idea that was posted to Facebook in September, and the result was totes full of nonperishable food for families at Thanksgiving. 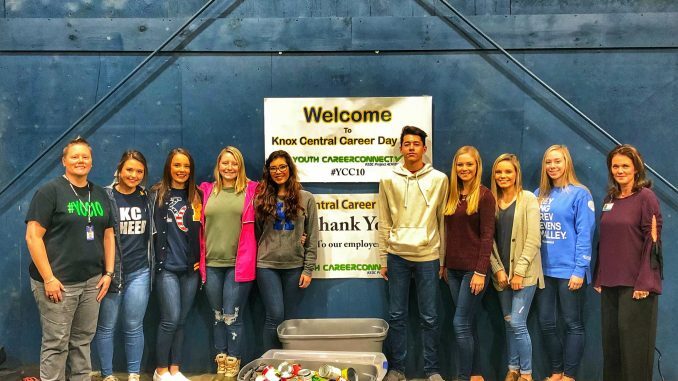 The Knox County Youth Career Connect program often referred to by their grant name of #YCC10, organized the drive at both Knox Central and Lynn Camp high schools. 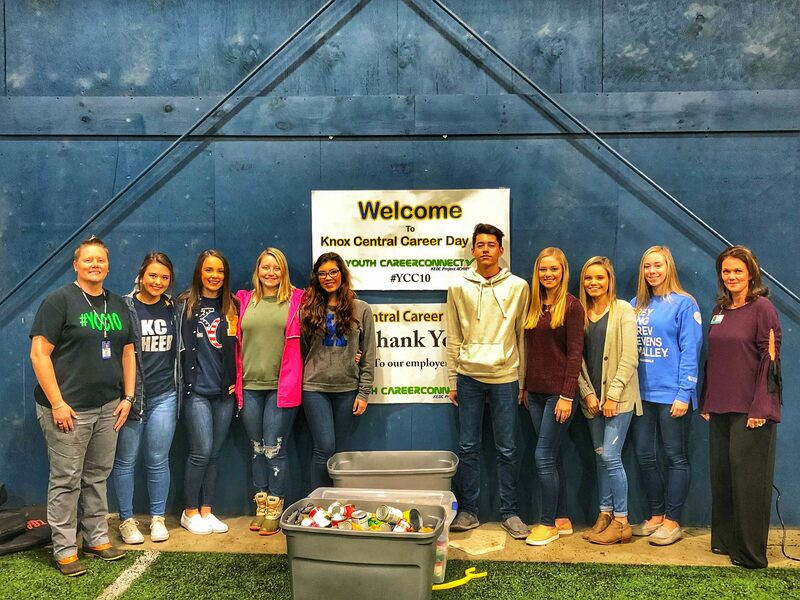 #YCC10 is made up of Pre-Engineering and Biomedical students at each school and is a grant partnership with Kentucky Education Development Corporation. 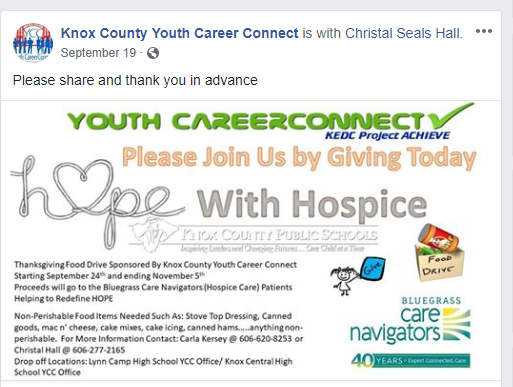 Carla Kersey, career counselor for the program, reach out to Bluegrass Care Navigators to see if they would be the recipient of the food to ensure that it made its way to those in need. On November 9th, Christal Hall with Bluegrass Care Navigators visited the students and received three totes full of Thanksgiving essentials. Part of the #YCC10 program teaches students to participate in community events and extracurricular activities to build their college application resume while serving the community. Students document their participation in a program called ACE that acts like a LinkIn profile just for high school students. When applying for scholarships and colleges, #YCC10 students can share their personal profile on ACE with institutions.